I’m very excited to share the fifteenth episode of the Woolful podcast. 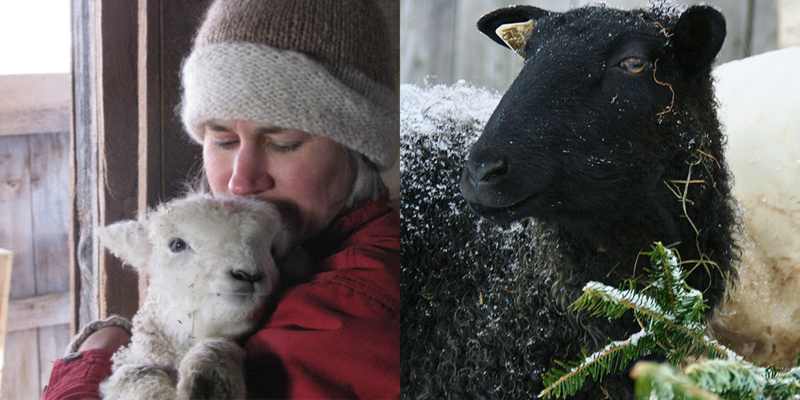 Today we get to meet two fiber folks, both women with a special love for Gotland sheep and both with unique fiber journeys that have taken them to interesting and inspiring places…Sue Blacker of Blacker Yarns and The Natural Fibre Company and Kim Goodling of Vermont Grand View Farm. 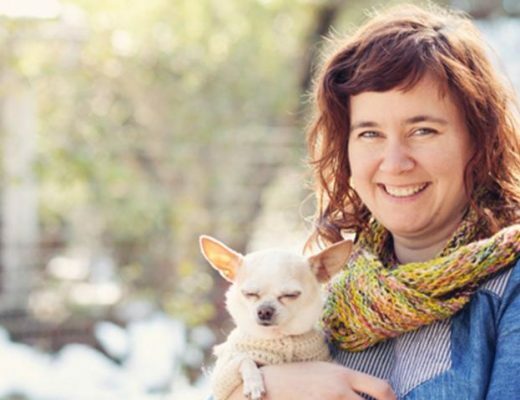 Fiber folk 1: Kim is a passionate ambassador and breeder of Gotland Sheep, dyer, entrepreneur and hardworking mom. 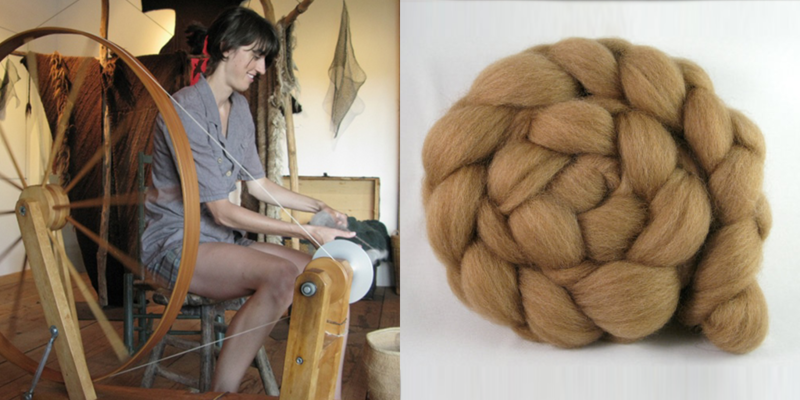 She runs a beautiful farm in Vermont where she hosts farm stays and a great selection of fiber related classes. She recently launched her online shop of Gotland yarns and fibers at gotlandwoolcompany.com You can find her at grandviewfarmvt.net and on Instagram @vtgrandviewfarm. For this week’s “Man on the Street” I asked a handful of fiber enthusiasts to answer a question, shared by Cady in our Raverly group. “What advice would you give to someone just starting their fiber journey?” We had some amazing replies from Sonja, Samantha, Beatrice, and Abby. Fiber folk 2: Our next guest, Sue has a pretty amazing and adventurous fiber journey, beginning with her flock of Gotland sheep and life as a fiber farmer in the UK, where she runs her fiber mill, The Natural Fibre Company and specialty breed yarn company, Blacker Yarns. She puts an incredible amount of work into spreading the word and love of Gotlands and other rare sheep breeds. You can find her at thenaturalfibre.co.uk and at blackeryarns.co.uk. The winner of last week’s giveaway, is Madeline Fidler! You’ve won the Radius pattern collection from Dreareneeknits and two skeins of Radius Yarn Bulky from Knitterly. Congratulations! This week’s giveaway is sponsored by Blacker Yarns, and we’re giving away 5 skeins of their Westcountry Tweed. All the fiber from this yarn comes from within a 100 miles of the Natural Fibre Company mill in the UK, made with intentions to have the smallest footprint possible. To enter this giveaway, leave a comment below. Another excellent podcast – I look forward to listening to each woolful episode. I am looking forward to trying Blacker Yarns, I am also based in the UK & love the chance to try a UK wool. Always a special treat to listen to your podcast. Can’t tell you how much I love to listen to others as they talk about their fiber story. Absolutely loving the podcasts with my morning tea! I live in PA currently… I have so much respect for Kim’s thoughts about this state. I feel completely out of place in this area! My fiance and I hope to live in Vermont some day (he’s in forestry; here’s hoping!). She definitely nailed the typical Pennsylvanian woman on the head. SO not me! I’m surrounded by these women! This podcast is such a lovely getaway from my office cubicle. Thanks for sharing. Kim. I hope to be like you one day. I love the colors on that yarn! I have admired Sue Blacker for a long time now. This yarn would be a treasure indeed. I would love to visit this woolfarm one day and be able to buy all those lovely yarns! Great podcast! Nice to hear about our swedish sheeps! Thank you for again sharing the stories of such inspiring wool folk! Such a tonic for the soul! Would love to enter the giveaway! I love getting the email letting me know a new podcast is ready. Oh I love blacker yarns! Looking forward to learning more about Blacker Yarn – thank you! Can’t wait to listen to this episode. Heard of Blacker Yarns through KnitBritish so am excited to hear more. Beautiful tweedy yarn! And a wonderful podcast, thank you! so exciting – I have the morning off! Guess what I’ll be doing…. knitting and listening! Oh my, I love single breed wool. I’d especially like to win this one! ahhhh I love listening to the podcast and the possibility of adding to my yarn stash! this looks like a wonderful squishy woolly yarn. Would love to win. This yarn is absolutely gorgeous! This podcast is fantastic! I was driving home from a trip on Sunday and listened to a few in a row. (It made the drive feel soooo much shorter and more relaxed!) I haven’t listened to this week’s yet, but now I can’t wait. I am doing Ysolda’s shawl club and our first yarn was a specially blended blacker yarn–LOVELY! Could that little lamb be any cuter? So adorable. Blacker yarn looks lovely and rustic. I would love to knit a cardigan with their yarn. This was my first real podcast… Heard of them, but never used them… Have never worked really with rare breeds in my spinning, yet, but would love to add to my yarn with some beautiful tweed!!! This podcast made me want to run away and start a farm! Another fantastic episode! Loved learning more about Blacker Yarns since they have been on my radar for a while. Would LOVE to win this! Thank you for the chance! Congratulations on another fabulous podcast! My eyes have been opened to so many possibilities through your podcast. Thank you. I’ve had Sue Blacker’s book, Pure Wool, for a little over a year and I would love to be able to knit one of the projects from the book with her wool. Thank you again for a wonderful podcast. The colors are gorgeous. I wonder what I’d make with 5 skeins…! This podcast is the greatest! It’s so inspiring to hear the stories of like minded fiber folk. And I’ll take that yarn please! I can’t wait to find a quiet time to listen! Our family got a generous tour from the Goodling’s a few summers ago so hearing Kim’s voice brings crystal clear images of their beautiful farm, greenhouse, hen house, pigs, Romneys, Alaska (and Tere and Tess, in memory). On to Gotlands! Congratulations. Perhaps it is time to make another visit to Grand View Farm Reb. It’s on our “dreamy vacation” list. Some day! Would love to visit Grand View Farm!! I so appreciate that you continue this podcast. I look forward to listening every week! Look forward to your podcast every week. Thank you all for the chance to win. Beautiful. I look forward to every Tuesday, knowing there will be more inspiring stories to shore me up for the week. Thank you for all your efforts in putting the podcast together. Just can’t get enough of your podcasts. Thank you! My inspiration has been fired up listening to such passionate people living their fibre dream! I LOVED last weeks podcast! I had been following both women on Instagram for a couple of weeks and it was so neat to be inspired by their stories and how they got to where they are! So encouraging for a still improving knitter! Can’t wait to hear this weeks stories! love the concept of leaving a minimal footprint when it comes to yarn. How beautiful! Who knew there was such a variety of sheep breeds at our fingertips. And a place with so many breed choices in one place! Thanks for this podcast! This Blacker tweed is gorgeous. I can totally pull a pattern from my queue for this! Really enjoy your podcasts ! Excited about this week’s giveway and podcast! You DO find THE most interesting people to interview! Keep up the good work. The yarn looks lovely — and I’m sure it would be lovely to make a project from it. Fingers are crossed! This podcast makes me look forward to Tuesdays. LOVE. I’ve been a long-time admirer of Blacker yarns and it’s so exciting to hear more about what and who are behind the brand! Thank you again! Such pretty yarns! I enjoyed this podcast – I would love to tour a fiber mill. Wonderful podcast as usual. Thank you for introducing us to these remarkable women. As I listen, I sit on my bed knitting a hand spun wool shawl. Feels so cozy and friendly. Thanks. What a great episode, thank you for a wonderful podcast to look forward to each week. I have to have this yarn! Please, please! 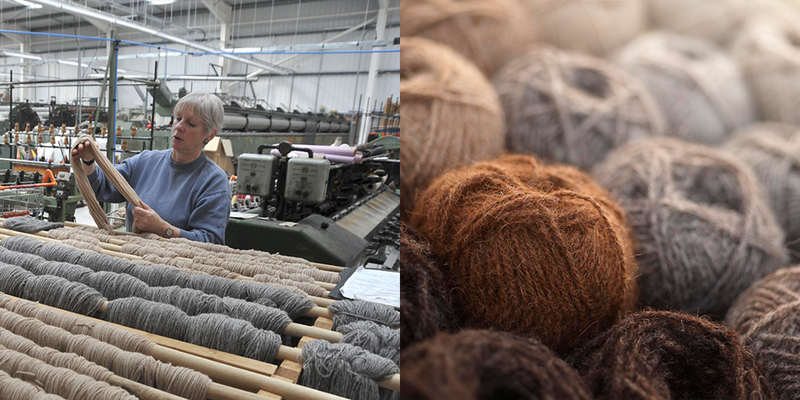 Lovely yarns, it’s so great to hear about UK wool. And I have a soft spot for Gotland sheep having visited Gotland – it’s a beautiful island. These podcasts are so inspiring. They’re taking my knowledge and passion of knitting beyond “just” knitting–into how my yarn is made and where my needles are coming from, etc. Another wonderful podcast and another opportunity to possibly increase my tiny, but ever-growing “farm” yarn stash. Thank you so much, Ashley! I am so glad I discovered your podcast! I was looking for spinning podcast, possibly with an orientation on breeds and how to use specific wool… that made my day! I love hearing about the different sheep breeds – and of course about these fabulous women! Loved podcast and adore Blacker Yarns. Loving every ounce of woolful. Thanks for sharing, inspiring and the giveaway! looking forward to listening to this podcast – I think I’ll save it for my upcoming flight on Friday! First time I have listened to your podcast. Love to hear Sue Blacker talking about different breeds and the way they are spun to get the best out of them. It makes you realise how unique each sheep and each fleece is. tweedy goodness! thanks for the inspiration and the great podcasts! Wednesday morning might by my favorite time of the week. I do yard work and then sit and knit and listen to woolful. I loved hearing about the farm life and feel inspired to go stay on a farm even more now. Then I went in and made lunch and smiled at using produce from either my own backyard plot or the local farmer’s market. Bless you Ashley for all you do to share this goodness with us all. I would love to try this out! Yes Please! Hooray for another great episode! I really loved this episode, I know Blacker thanks to Knit British and I have ordered from them before. 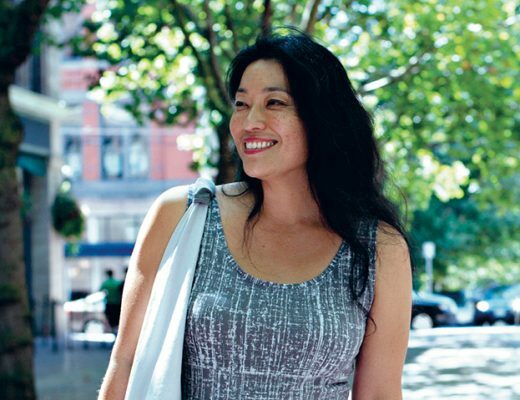 It’s always lovely to hear the story behind great yarn. Awesome podcast! Thanks for starting it. Just perfect that I am knitting a shawl out of Gotland yarn, and it’s from Blacker Yarns no less. 😀 I would love to get my grubby little hands on some of that tweed for sure!!! I so love this one evening a week when I can cuddle up with my yarn and needles, and listen to your podcasts. They’re so inspiring. So thank you! Lovely interviews as usual! Thanks Ashley. My commute is so much more enjoyable when I listen to your podcast. Thank you! I adore Blacker Yarns! I love listening to your podcasts as I walk or run along the river near my home. Never tried this yarn before but looks wonderful! I won two balls of Blacker Yarns a year or so ago from another podcast… is it greedy of me to want to win more? 🙂 What I got then was a ball of Teeswater and a ball of Wensleydale. I just love checking out different breed wools. Great podcast – once again. We moved to a small bit of acreage last year and are getting to know the land and what we can do with it. I often dream of sheep and guard llamas. This episode made me do a little serious research. As usual so inspirational. Loved hearing about the different kind of sheep! Great podcast – always a favorite listen! I have had my eye on the Blacker yarn for some time now. Lovely stuff! I saw something about your show on Instagram and the person said you were wonderful. This was my first episode to listen to and she was right! Now I need to catch up on the previous episodes! I am loving these podcasts. Thank you so much! Another great podcast! Thank you! I just love this podcast. 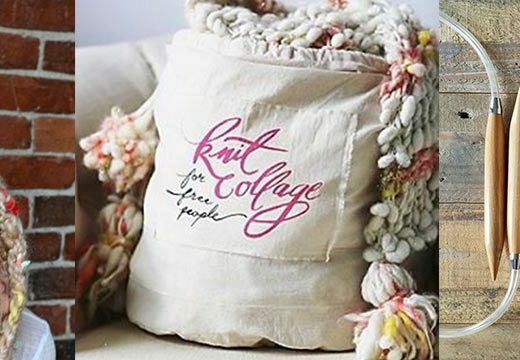 I am a fiber nut and love everything WOOL! Thanks so much for a wonderful podcast! I’ve been knitting for many years, but am enjoying learning so much about wool and fiber folks! Some of my family comes from the island of Gotland, so this episode was particularly interesting! I really enjoyed learning about Gotland sheep this week! It came full circle for me when my co-worker and fellow wool enthusiast finally started listening to your podcasts, and while we listened and sewed all day she recalled her own trip to Gotland Island several years back! Thanks for another great listen! This is so lovely! I adore Blacker Yarns. And their mill. And the cooperation with Benjamin Hole. All amazing fibre stories. I loved hearing all about Gotland sheep, their personalities and fleece – and also hearing all about Blacker Yarns and their creator … a great show today with fascinating guests. Thank you. First time listening to your podcast. Loved it and I am now looking forward to listening to many more. The interviews were fascinating and now I am off to do some research on all the different sheep. I am so glad that i found your podcast. Now I will knit more and learn more. Wonderful episode! I live just a short drive away from Grand View Farm – such an inspiring story! I must visit now! Thank you for the giveaway, the yarn is fabulous! Great advice from the Man on the Street segment! 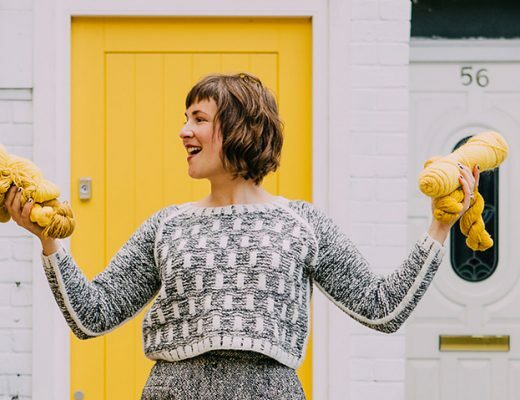 This is the sixth Woolful podcast I have listened to and I’m officially hooked! Your podcasts are wonderfully informative–I’m so interested in small batch local yarn now! Love your work. Ashley, terrific podcast, I loved listening to both of your guests and am so pleased that Casey was your sponsor this episode; she’s a friend and I spin at Portfiber every week! Loved the podcast and would love to try Blacker Yarns. I really enjoyed this week’s episode! I’d love to get my hands on some of that yarn. I want to thank you so much for opening my eyes to this wonderful world of fiber. I have been knitting for almost two years but the stores where I used to live only sold acrylic yarns, and because they were so cheap and I was broke I didn’t really mind (until now!). I can honestly say that I am a happier person knowing the things I know now and I am certain that I will always be learning more every time I tune in to your newest podcast. I can’t believe it took me this long to begin my fiber journey, but I’m so glad that I’m starting this amazing adventure knowing exactly how encouraging and supportive this community can be. 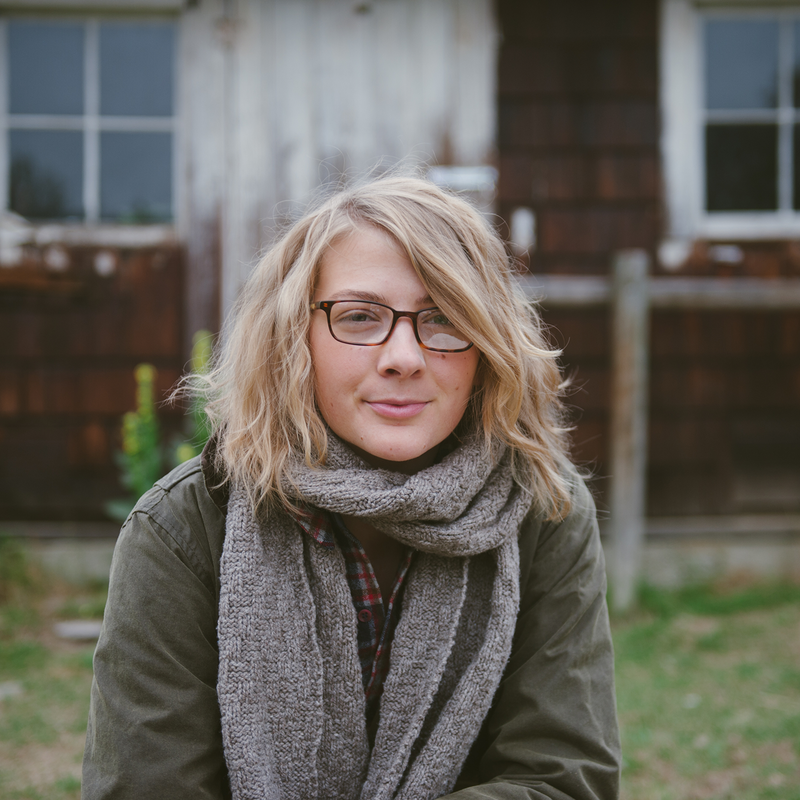 I came across Grand View Farm website awhile ago, how fun to hear Kim’s voice and story. Lovely interviews, as usual! Thank you! I look forward to your podcast each week! It has been such an inspiration and has rekindled my love for wool. Thank you! what a fascinating episode! Thanks so much for another amazing giveaway!! what a wonderful podcast — I would love to knit the Westcountry tweed in that luscious green although it’s all beautiful! Just finished catching up on the recent podcasts (while knitting!). 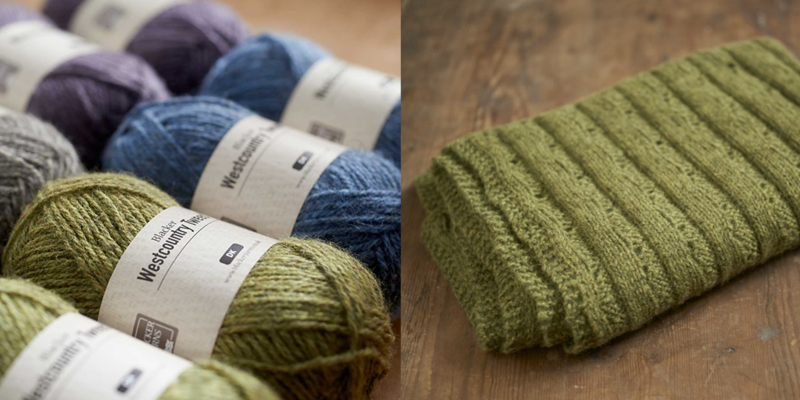 Great to hear of Blacker yarns–now I know what to hunt for the next time I’m in the UK. Also hadn’t heard of Gotland sheep before so lots of learning going on . . . Loved hearing more about Blacker yarn. Both interviews were great. Oops, entered on the wrong podcast page – love listening! I’ve used Blacker Yarns on several occasions and really love both the sturdiness and softness . Not tried the tweed yet though. Thank you for another inspiring podcast about two very dedicated women.Learning about the different breeds of sheep is so interesting and gives me a greater appreciation for the yarn produced from them. I enjoyed both interviews and learning about a new breed of sheep. I loved Kim’s story of her family, farm, homeschooling, anyhow they made it work so she wouldn’t have regrets when she’s 70. What an amazing episode! I really enjoyed listening to Kim talk about the difference she sees in her kids and the ones form the urban area. 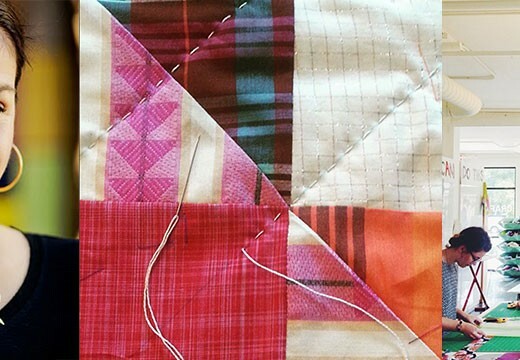 And I learned so much new from Sew! Blacker yarn looks amazing! The yarn looks lovely, another inspiring episode. I especially loved your interview with Kim this week–what a wonderful woman who has shared her passion for the farm (I lived in Vermont a few years, the farming really gets under your skin!). I really appreciate her thoughts about accepting what you want in life and coming to understand the education she was giving her kids, while different, was no less valid. Thanks for sharing! I look forward to your podcasts every week. Thank you for all you do! The Woolful Podcast has changed the way I look at yarn. I’m slowly replacing my over-processed stash with more natural choices. Keep up the good work! Thanks so much for another wonderful podcast!!! I am now obsessed with getting my hands on Gotland fiber. I just moved to Montana so my que is full of new wonderful local fibers to play with and now I need to find a local Shepard with Gotland sheep. Your podcast is amazing thanks for allowing me to spend te with you and your friends each week. thank you so much for these podcasts! That was lovely. I think I’ll curl up with a cup of tea and make a hat now. Thanks again for a most interesting episode and lovely photos too. And a chance for beautiful yarns. Off to browse those websites now. Thank you for always having such amazing podcast topics and such inspiring people on them! Hopping up an down, can’t wait for the open day. Trying to get as many natural samples of wool as I can for my NVQ in Knitting. I loved every second of this podcast. It was so informative and engaging. I ook forward to future episodes. What beatiful yarn would love to try. I received my order of black Gotland sheep roving from Kim over the weekend, which I ordered immediately after hearing her story on the podcast. Mmm it’s delicious, looking forward to spinning it! A farm stay is definitely on my to do list. I love how Sue began her story with “It started because my husband is left-handed”…it really demonstrates how all of our journeys (both in fiber and life) have unique, serendipitous, magical moments! Just found this website and podcasts. Truly enjoyed every minute! So cool. There is always more too learn. Farmstay is now on my vacation list! What a great podcast! I’ve been enjoying the episodes while collecting data for my masters research. It inspires me to remember to take time to knit and just breathe. This was a very rich and lovely podcast to listen to. Gotland sheep and Blacker yarns have fascinated me since I read their PureWool book and started looking at their yarns and patterns online. A sweater I lust after mightily is the magnificent “Rita’s Aran” by Sue Blacker, and I deeply support her efforts to preserve/promote breed sheep and yarns. It was equally interesting to hear the “Yank” version of Gotland sheep raising from Kim, and to resonate with so many of the stories she told about her business and the home schooling she has done. It’s quite miraculous to me how these stories and love of fiber can draw people together and connect urban “wannabes” like me, with people who live miles away in a very different environment. Thank you so much for presenting this! This yarn looks really tempting! I enjoyed the podcast and have been a lover of Gotland wool for a long time, having spun some in the 80’s. So glad I found you! I am new to knitting and love wool! It is all I want to use in my future endeavors♡♡♡ And I am now in love with Taproot!! Oh woolful how I love you so! Very inspiring, beautiful website and lovely guests! I thoroughly enjoyed this most recent podcast. This made ME want to start a mill! Keep them coming–I love listening to your podcasts! Taprootmag and Woolful: the perfect marriage! Hope I’m not too late to enter the giveaway!